JACK FLETCHER IS LEFT FOR DEAD. Bruised and battered, Jack wakes up in a roadside inn wrapped only in a dirty old kimono. He has lost everything, including his memory. Determined to discover the truth, Jack goes on a quest to retrieve his belongings - his precious swords, his friend Akiko's black pearl and most important of all, his father’s prize possession. 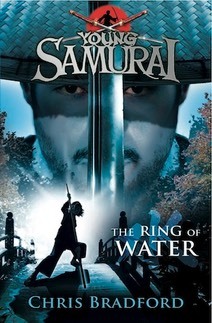 Relying on his samurai and ninja training, Jack realises The Ring of Water is the key to his survival. But with only a washed up ronin – a masterless samurai - for help, what will Jack manage to find? What will he lose? And what will he have to sacrifice?